There are a number of naggingly unsatisfying inclusions on this year’s list. 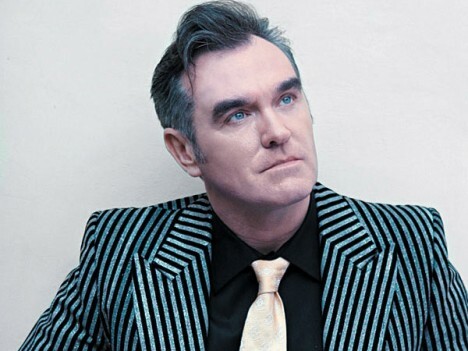 I don’t particularly go back to Morrissey’s You Are The Quarry much these days, but at the time it ranked as an amazing comeback record after a couple crappers from the Moz. So that would have been more than enough for a Smiths/Morrissey fan like myself to push it to top spot. Coming in second this year was The Veils’ The Runaway Found. This is a great band who’ve been criminally slept on over the years. With them and Moz, Jens, The Dears and The Organ all on my list there was clearly a vibe I was feeling in ’04. I’m not sure what that might be, maybe morbid melodrama? Putting The Organ’s Grab That Gun at #3 feels like a bit of a cheat considering I put their Sinking Hearts EP on my Top 10 the year before. I’m going to chalk putting this one so high up to me projecting — hoping that The Organ would be to the world what I thought Moz and The Veils were as well. That Arcade Fire Funeral record was like a bolt of lightning, wasn’t it? I mean, seriously, who knew those guys were going to hit the grand slam and turn every indie band for the next five years into gang-singing, handclapping 13-member art collectives? Nowadays, knowing more about their prep school backgrounds and natural entitlements, there’s a certain realization that I don’t really identify with the Arcade Fire at all, but I still have to admit they can create some compelling music. Putting Feist’s Let It Die at #5 was probably an error on my part brought on by the fact that my friend and co-worker Chris Burland had put out her previous album Monarch on his label and I would’ve felt a vague desire to be supportive. I like two songs on this album — “Mushaboom” and the Bee Gees cover “Inside And Out.” That shouldn’t have been enough for this album to place where it did. I never listen to Apostle Of Hustle Folkloric Feel any more. I haven’t even ripped it into iTunes so I’m going to guess I was getting a little swept up in the rise of Broken Social Scene at the time and it was clouding my perspective. At #7 was Jens Lekman’s When I Said I Wanted To Be Your Dog. I’m not really sure why I put this on my list. I don’t really like this album all that much and it’s actually Lekman’s next album Night Falls Over Kortedala that I was really into. I’ve steadfastly maintained that By Divine Right remain one of the most important Canadian bands of the last 20 years and putting their album Sweet Confusion at #8 was a small gesture in support of that notion. Against the rest of their catalog this is one of their lesser albums — still good — but in hindsight Sweet Confusion’s inclusion on my list feels too political now. The Golden Dogs’ Everything In 3 Parts was a very exciting record for our household when it came out. They were a great band live, they were fun people to be around, and the album was solid, too. I’m still not entirely sure why they never got bigger than they did, but this was still a great ride to be on at the time. The #10 pick The Dears’ Thank You Good Night Sold Out is kind of embarrassing to me. The Dears were probably my favourite Canadian band right around then (and might still be now), but this is a live record. I don’t really listen to it any more, and didn’t really listen to it that much when it came out. Nowadays I’m far more ruthlessly clinical about my Top 10 lists and putting this on the 2004 list has a certain cute “Aw shucks” loyalty that I don’t know if I’ve “lost,” but I don’t quite let rule me in the same way any more. by divine right was the best album that year.easily i might add. I wish we could’ve started Polaris in 2004/2005 for most of these reasons.